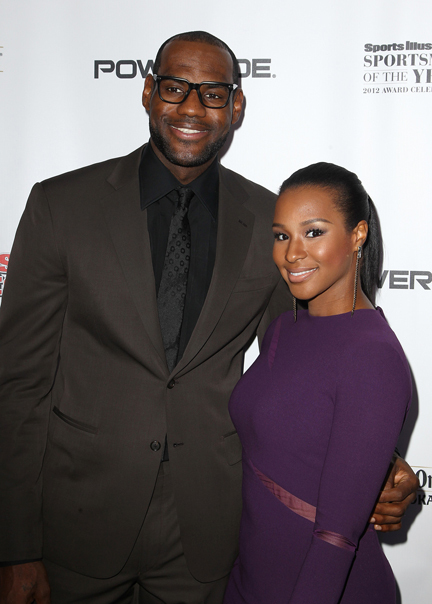 Miami Heat star LeBron James married longtime girlfriend Savannah Brinson in San Diego on Saturday. Sources close to the couple told the Associated Press that the wedding took place at the Grand Del Mar Hotel and included about 200 guests. James and Brinson have been together since high school and have two sons. James popped the big question just after midnight on Jan. 1, 2012 in Miami Beach. The wedding included extreme security measures to keep the specific details from the press and public. Even guests were unclear of the exact details in the days leading up to the event. The guests arrived with umbrellas to shield their identity and were taken to the wedding area, which was covered in tents. Heat owner Micky Arison, coach Erik Spoelstra and many of James’ teammates including Dwyane Wade and Chris Bosh were on the guest list. None of the guests released any details about the wedding Saturday and word is no cell phones were allowed during the ceremony. Information from Eurweb.com and The Associated Press contributed to this report.